Were you to stand back from what you wrote, you would see that your own article begins with the same offense you attack through the remainder of the article. In short, you are guilty of the hypocrisy you condemn. Your article in The American Spectator, “Who needs Trump Bashing every day at High Noon?” begins with a gratuitous—and false—statement about the Scientology religion. With respect, you have joined the ranks of illegitimate news commentators who invest time in attacking religions at a time when religious thought, conscience, prayer and belief should be supported and enhanced, not cut down by ridicule and scorn. 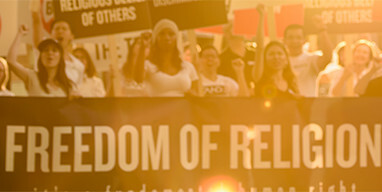 We at STAND, Scientologists Taking Action Against Discrimination, are dedicated to raising awareness of and ridding the world of such discrimination and doing our part to bring about an environment of mutual respect and understanding. Your agreement to grant deference to religions—all religions—is sought at this time of great social turmoil.